There are dangerous fats and there are healthy fats and eating excess calories of any type, especially excess fats, causes us to gain weight. Americans typically eat 40% of their daily calories from three types of unhealthy fat: Animal Fats, Trans Fats and Refined Oils. Less than 5% of fats in America comes from nuts and seeds which are considered healthy fats. Eating nuts and seeds can actually help you to lose weight. Nuts are high in fiber and help us to feel satiated – feel fuller longer. They don’t create the calorie intake that you might expect because due to their skins and the way we chew them 5 % to 15% of their calories are not absorbed by the intestinal system. A healthy serving of nuts per day is about one ounce. And they should be eaten raw vs. roasted with your meals versus as a snack. Add some walnuts or almonds to your morning oatmeal or add some to your salad. I recently added cashews to a rice risotto dish. Nuts speed up the metabolism, and they convince your body to use more energy and thus burn more fat. 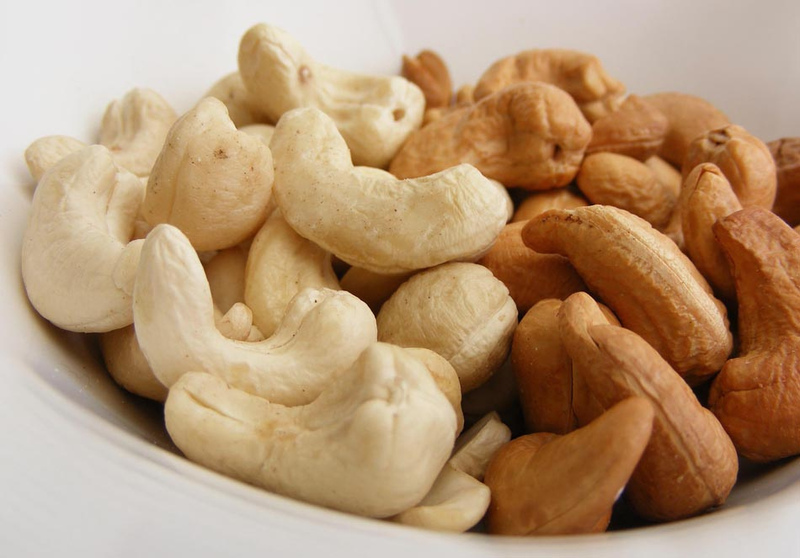 The best way to store nuts is in an airtight container in the freezer or fridge to prevent spoilage.